This is another portion of a Washington area topo map produced sometime in the 1920s. 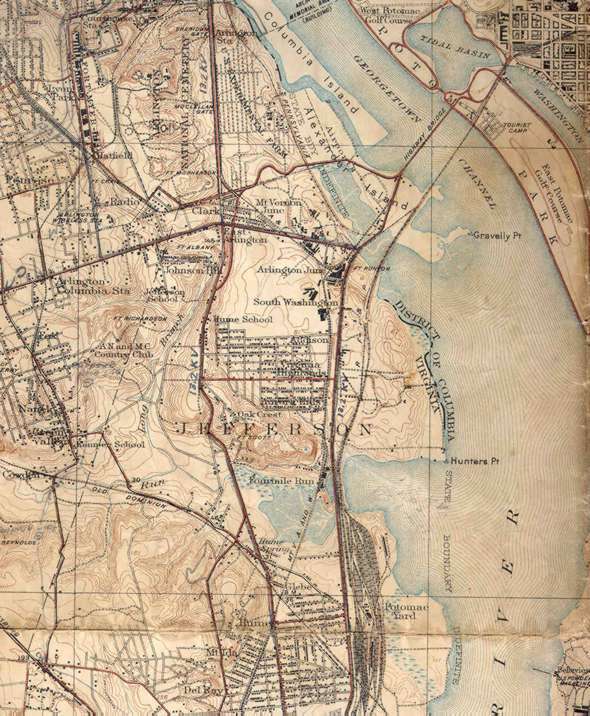 Notice that a large section of the area was wetland and had to be filled in to build National Airport. The Pentagon was built on one of the last remaining sections of farm. Numerous railway lines ran through the area providing service to Arlington. The Arlington memorial bridge is shown under construction. Next - Broadcasting the Hoover inauguaration.